A “parts car” is a spare car you have solely to harvest pieces from to keep another car alive. Sounds like a great thing to have, right? I thought so too, but in case you needed more convincing here’s the business case for a parts car. And a guide on how to find one. 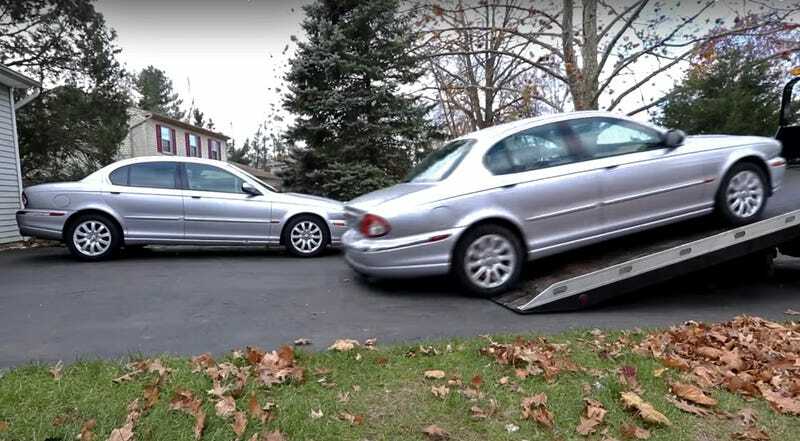 Automotive instructable YouTuber Chris Fix is restoring a Jaguar X-Type, of all things, which I don’t really understand but I like his business case for getting another one. After removing all the parts he needs, he reckons he can sell the rest and still end up making a profit for his labor. And his own car will be in better shape for it. Fix’s formula is pretty simple: first you’ll want to make a list of all the parts on your wish list, figure out what they cost, see where that total’s at in relation to the price of a parts car, and if you want to be really ambitious figure out what the remaining parts would be worth so you can see if you might make your money back with a disassembly job. Of course all this is dependent on your willingness to have the dead husk of a car on your property indefinitely, and the time to actually dismantle it. And the means to hawk the bits you don’t want. Obviously you’re going to want your parts car to be as compatible as possible with your project, but even if you find a matching color scheme be extra careful to confirm that your new donor has the parts you want in decent condition. You are buying a dead car, after all. As soon as I have some property of my own again I hope to start stuffing it with dead old International Scouts, and will probably never bother breaking them down and selling them off. But for you seriously frugal and mechanically adept individuals, this video makes a pretty solid case for getting a parts car in your life.